If your mom has health issues that get to the stage where she can no longer live alone or conduct the everyday functions of life, a caregiver may need to step in. It can be an overwhelming task. Some even quit their jobs and neglect social life in order to dedicate their time fully to a family member. Not surprisingly, family caregivers often experience high levels of stress, making it important to understand and recognize how anxiety affects all aspects of health in order to avoid experiencing burn-out. Denial about your mom’s condition and how it is affecting her life and yours. Anger at your mom, and at yourself for feeling this emotion. Social withdrawal from friends and activities that the you once enjoyed. Depression that can affect your ability to cope with the situation. Exhaustion that may interfere with your ability to complete daily tasks. Sleeplessness caused by worry and depression. Health issues caused by the mental and physical stress of caregiving. Too much anxiety can put your health at great risk. Chronic anxiety may lead to physical symptoms such as headaches, chest pain, upset stomach and high blood pressure, which contributes to cardiovascular complications. In fact, studies have found that people who suffer from chronic stress tend to die at a younger age.Caring for a loved one can be rewarding but you may also need caregiver relief. Avoiding burning out from the stress of caregiving is important not only for your health and happiness but for the well-being of your mom. Sometimes, a person simply needs a break, and it’s important to take that time for yourself to recuperate and heal no matter how inconceivable it may be. You may feel guilty or ashamed for needing time from your mom; however, it’s important to realize that those emotions are unwarranted, and there is no shame in reaching out for help. Getting caregiver relief by taking advantage of short-term, or respite care at an assisted living community can allow you to relax and enjoy your time with assurance that your mom is getting the care she needs. You can take this opportunity to spend time with friends and family that you’ve been missing, take care of home projects or take a much needed vacation. Aegis Living communities offer a wide range of services, including short-term care options. Vacation coverage is available so that both the caregiver and the senior can enjoy some time apart for anywhere from a week to a month. A trial stay allows you time to rest and refresh while giving your mom the chance to taste the cuisine, engage in activities and make new friends. A short-term stay can also serve as a way for a seniors to experience the assisted living community first-hand and determine if that’s the right situation for them. Many find that being around other adults their age provides a system of support that cannot be found even when surrounded by family. In these environments, they can interact with others and participate in activities and hobbies that they were once passionate about. 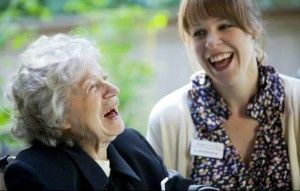 Aegis Living’s short-term care is a great way to test the waters of assisted living, experience and become familiar with the warm, welcoming community and get some much deserved caregiver relief.